Over 15 years Brian's BFITBNEW4LIFE has been requested by conferences, schools and corporations as "the real go-to to help heal emotional, physical and mental stress and trauma in children and adults" with often immediate results! Once featured on WLS Channel 7’s, “Someone You Should Know” with Harry Porterfield, Brian Thompson grew up in Chicago’s Englewood community; graduated from Englewood H. S., earned his BA in Communications & Military Science from Northern Illinois University. A former 1st Lieutenant in the U. S. Army, he now works in the therapeutic foster care, behavioral health fields while sharing his healing passion with those in need of stress wellness. Brian is certified in Youth Mental Health First Aid and he is a CPR/FIRST AID Instructor with American Red Cross, A 32-year experienced martial science / self-defense instructor and healing arts (Taichigong) practitioner. 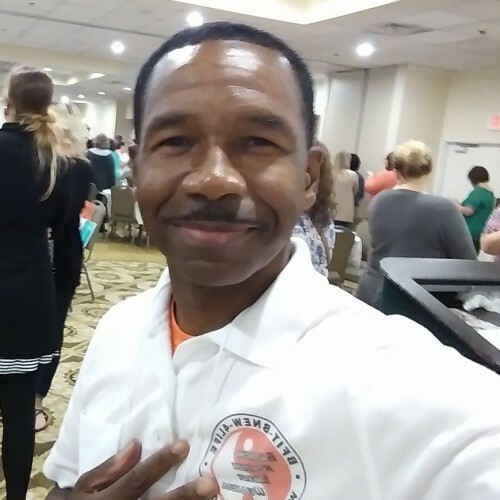 Brian is the Founder of BFITBNEW4LIFE, a traveling Community Stress Management & Wellness Initiative helping children, adult and senior groups of all platforms. Presently traveling from local libraries to state conferences coaching and healing those in need. "His innovation is most unbelievable and entertaining!" Find out more about Brian's BFITBNEW4LIFE at https://www.bfitbnew.com/.